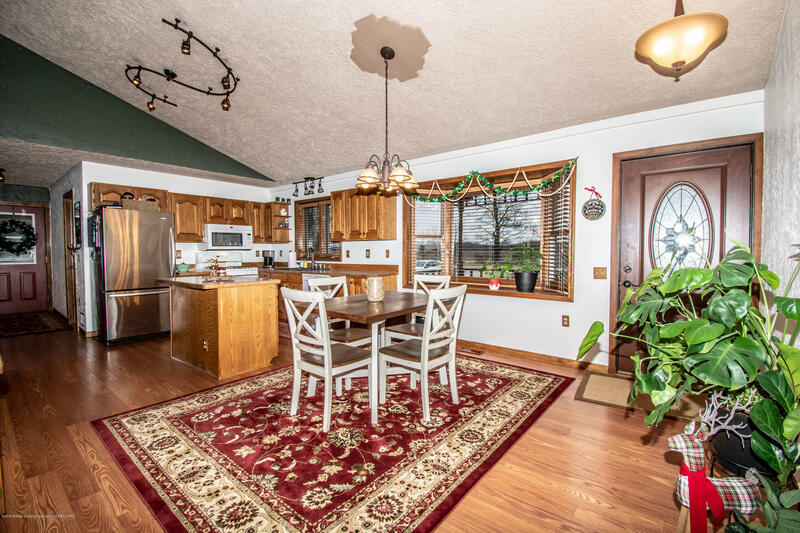 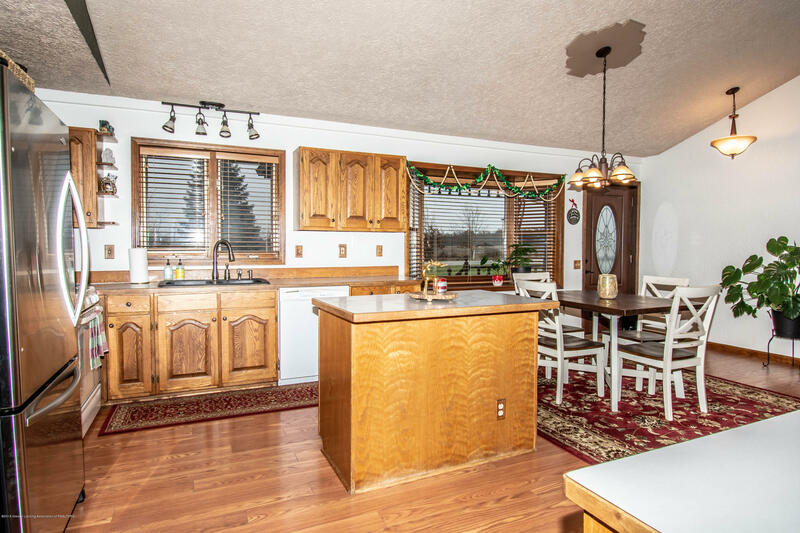 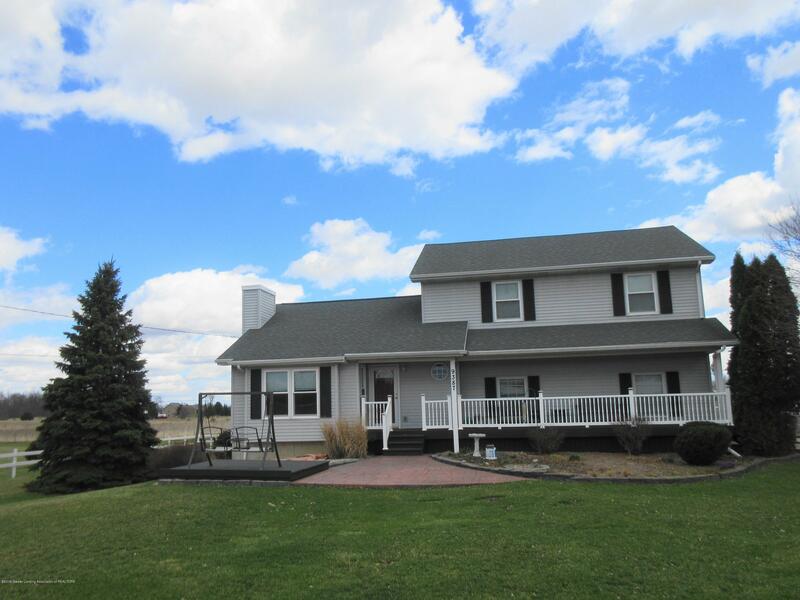 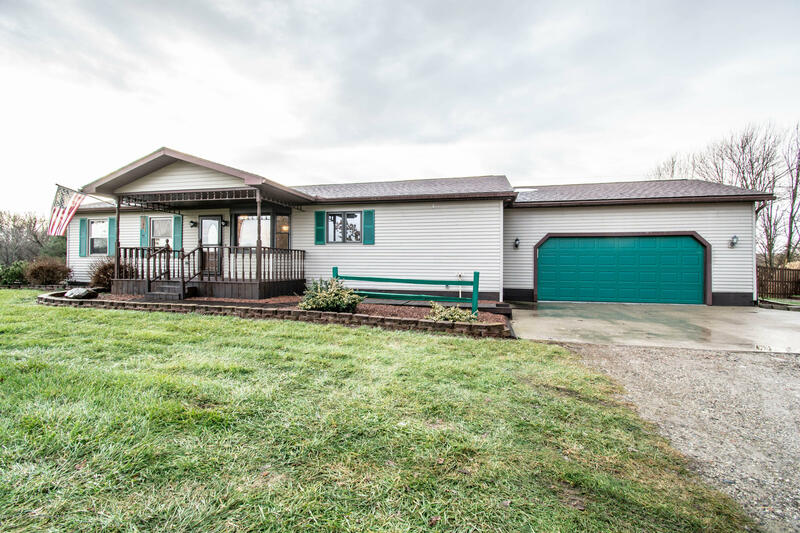 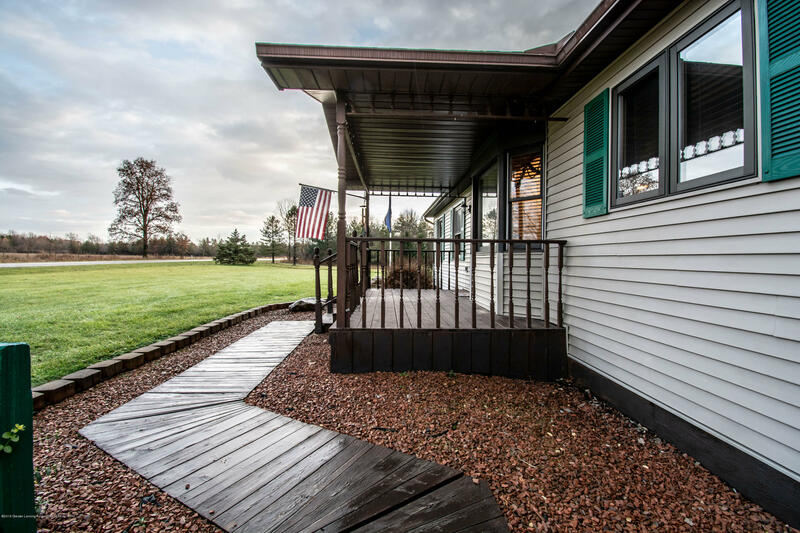 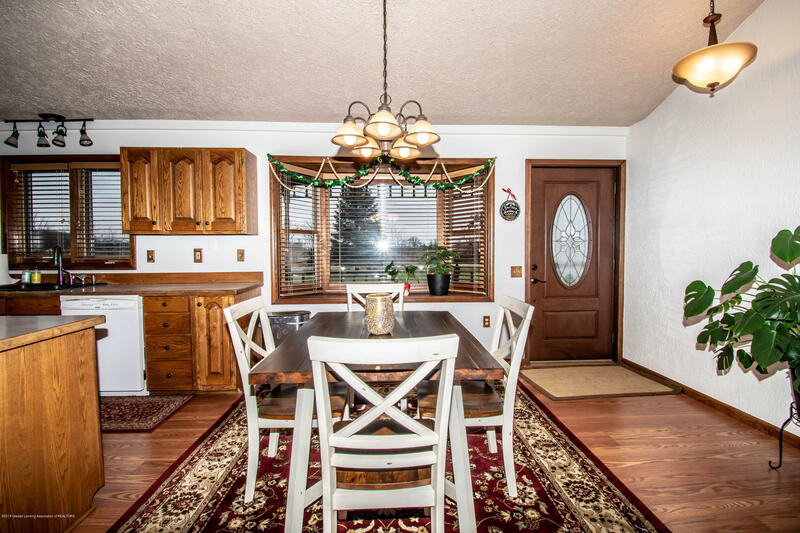 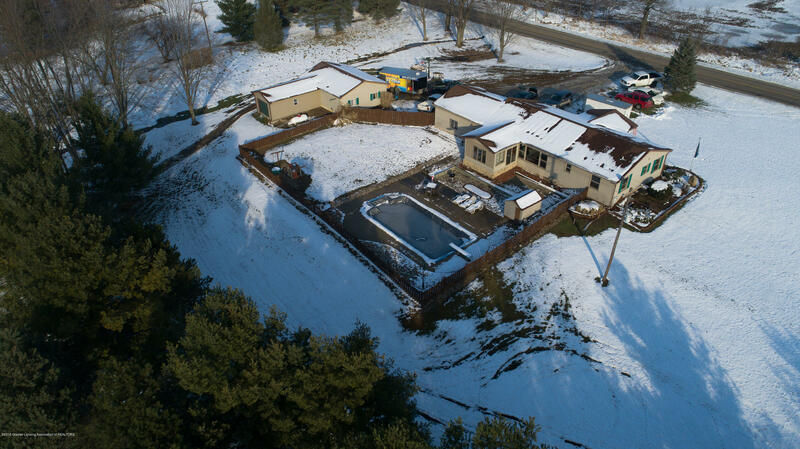 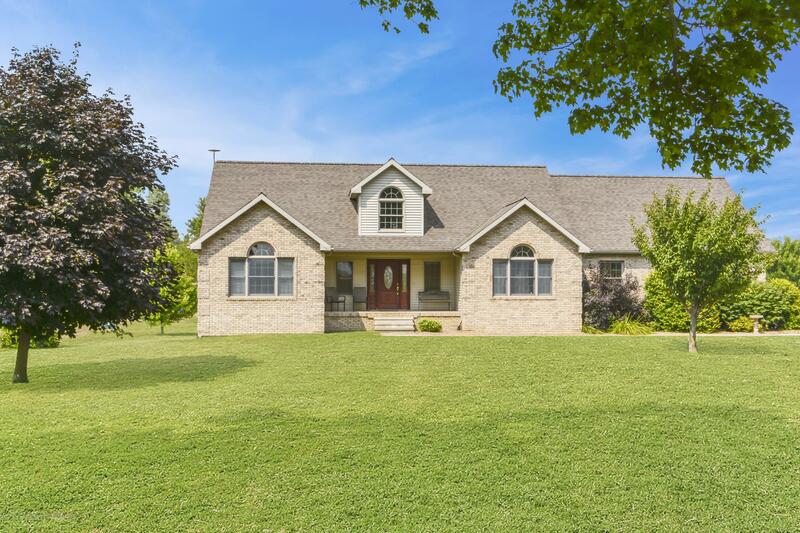 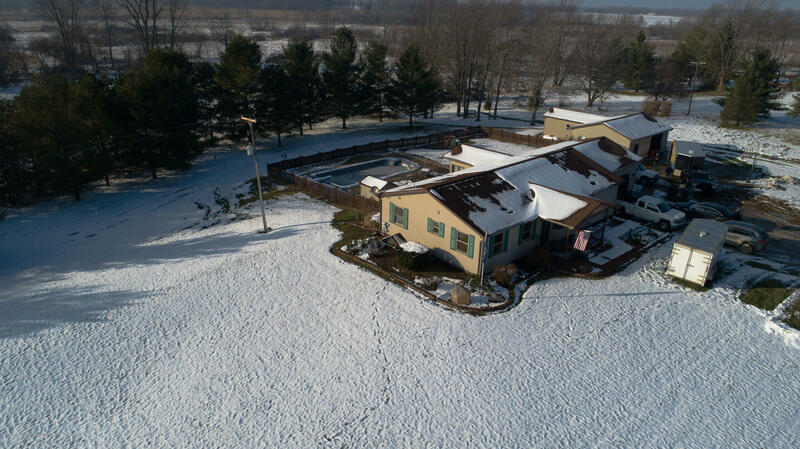 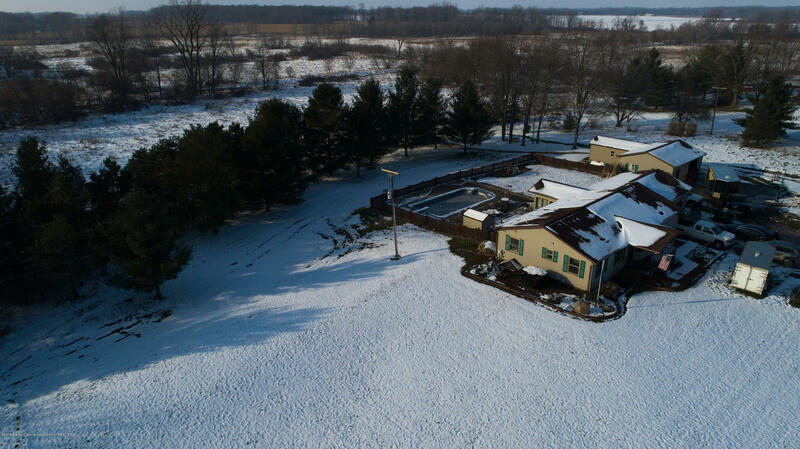 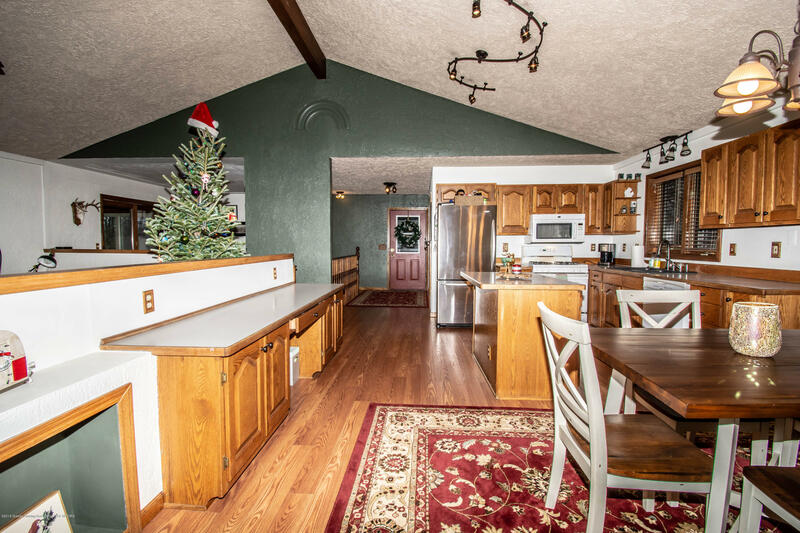 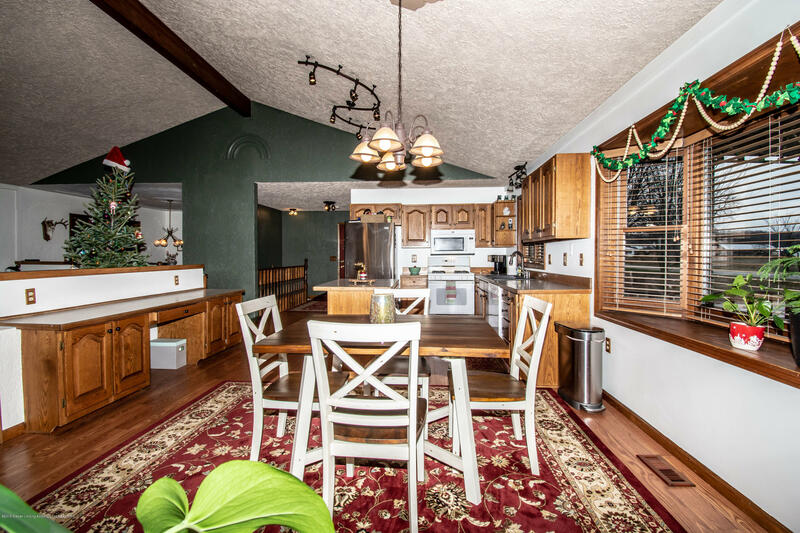 Beautiful ranch home sitting on 5 acres with a pole barn! 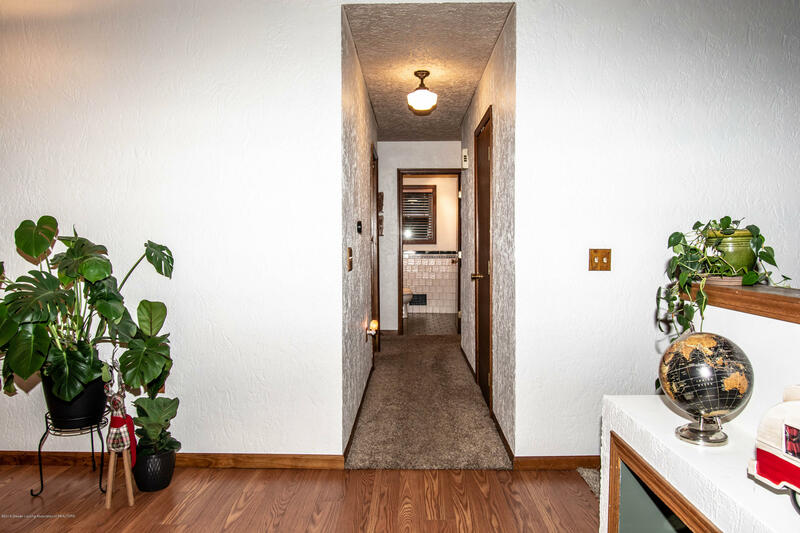 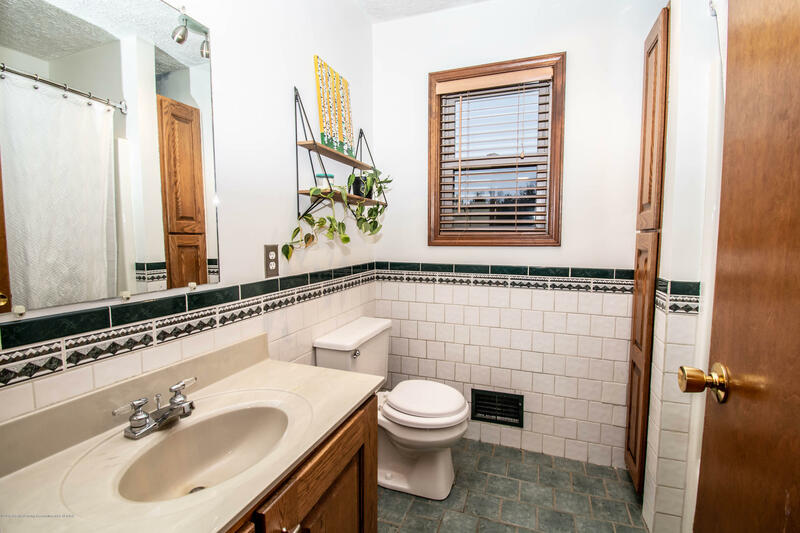 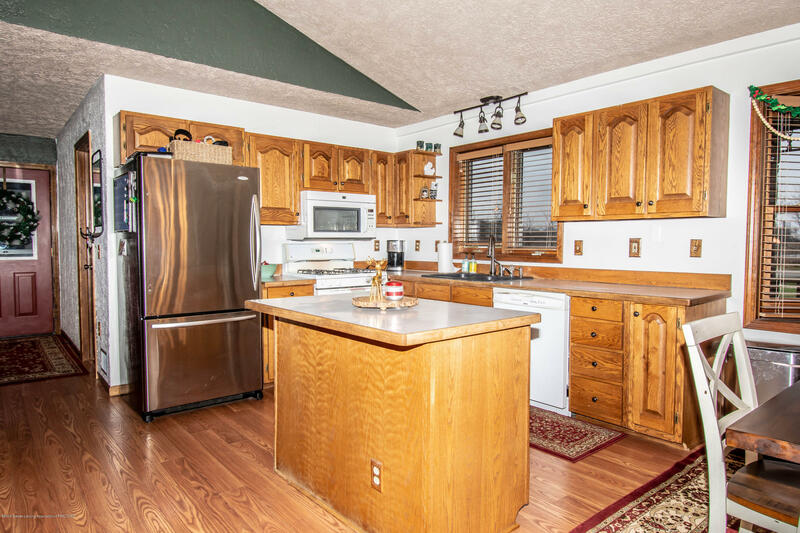 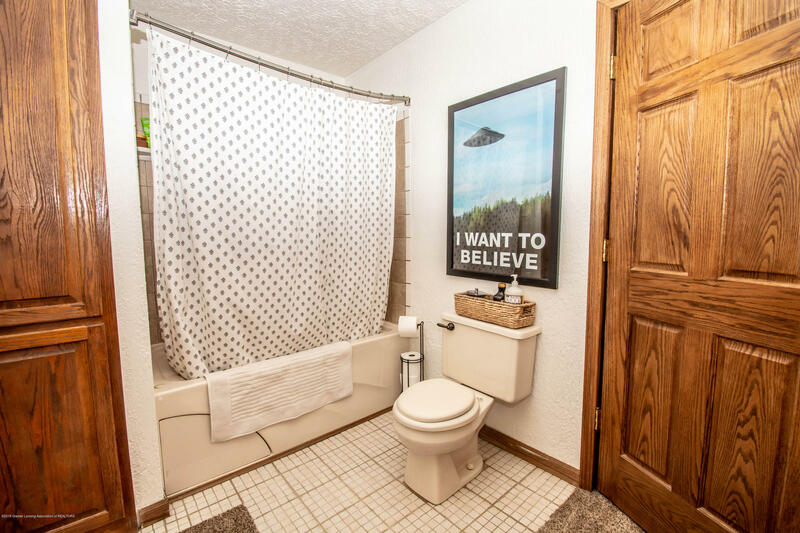 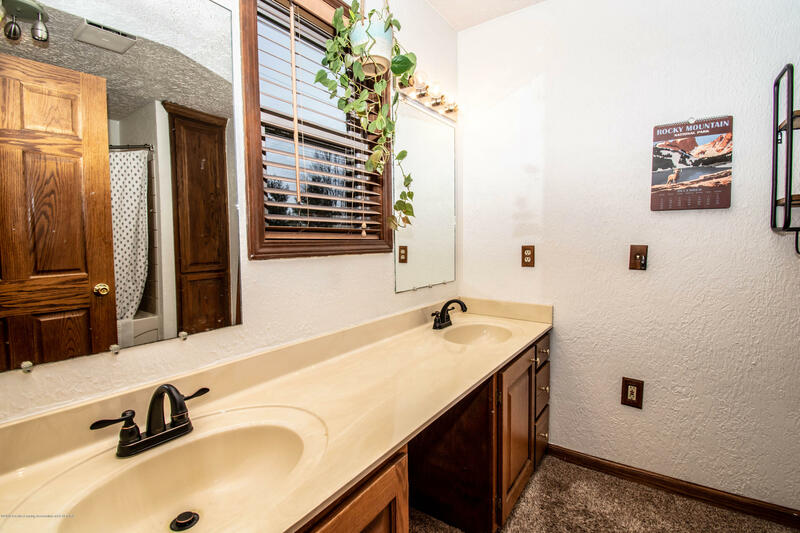 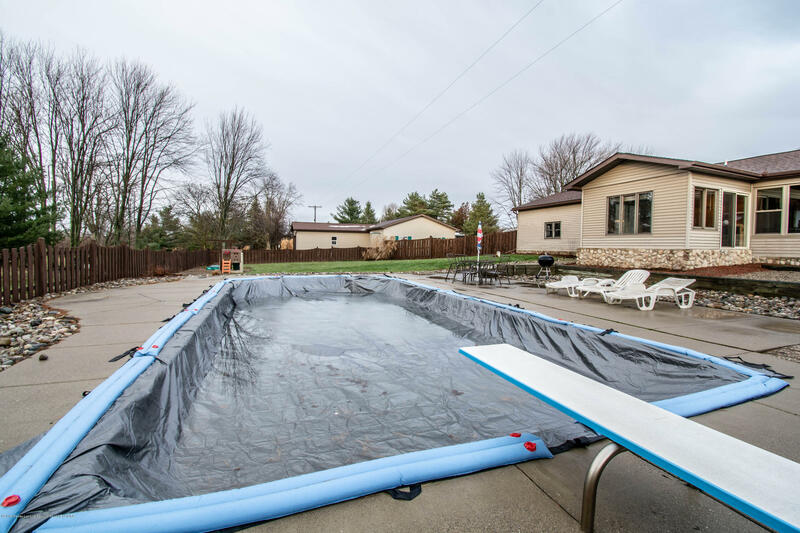 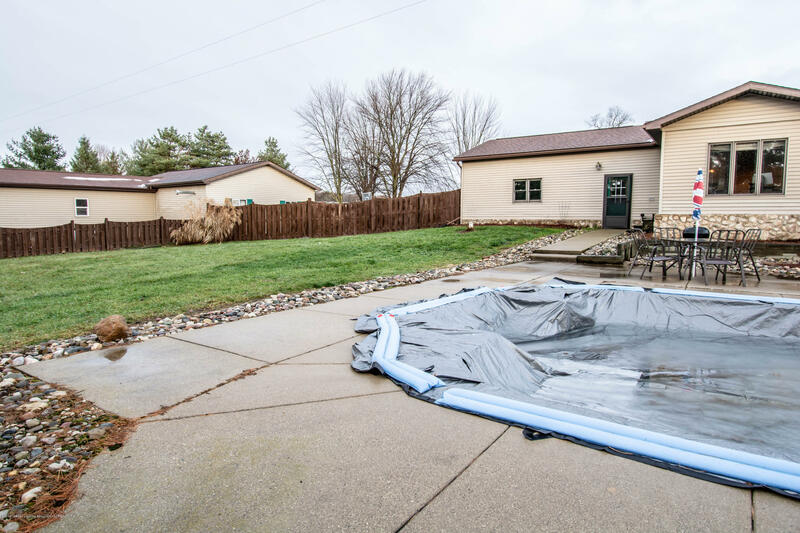 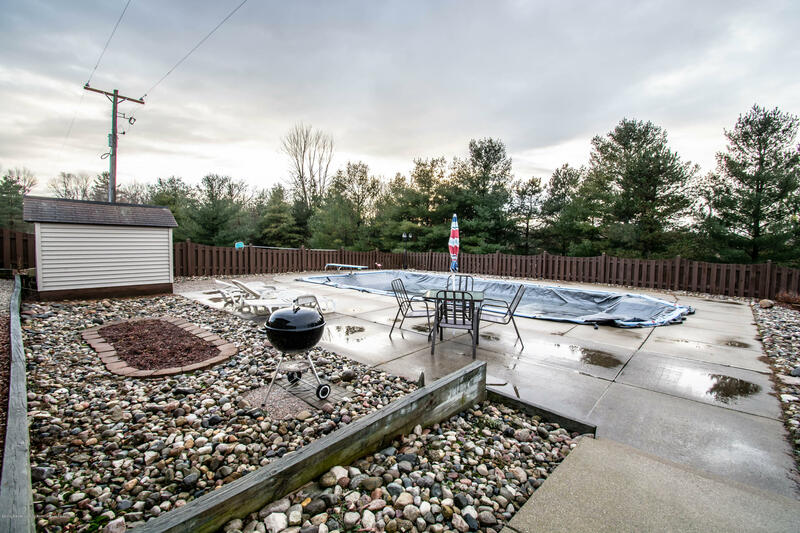 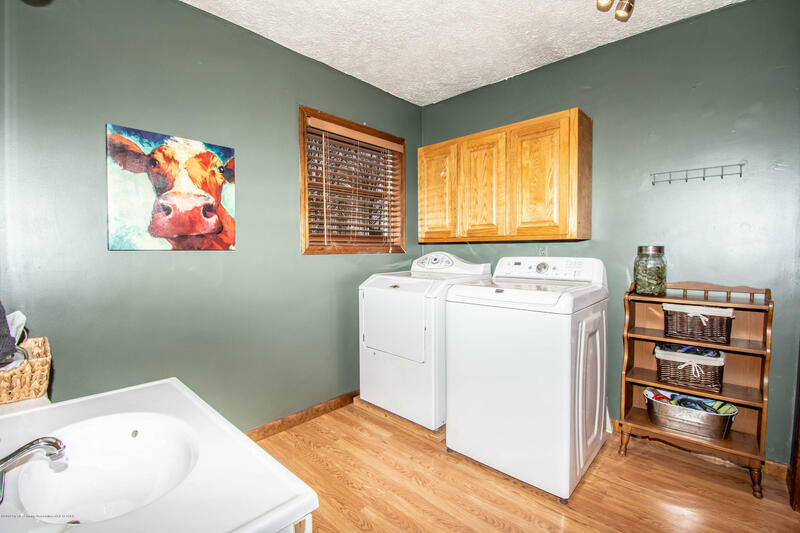 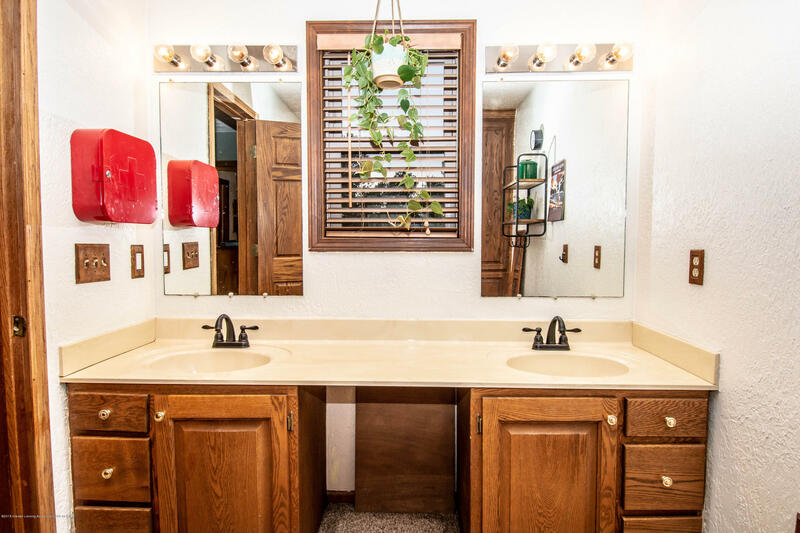 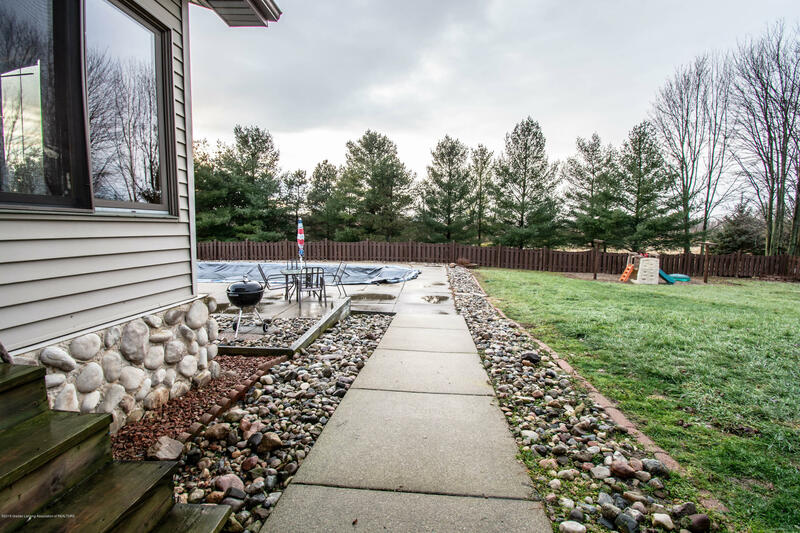 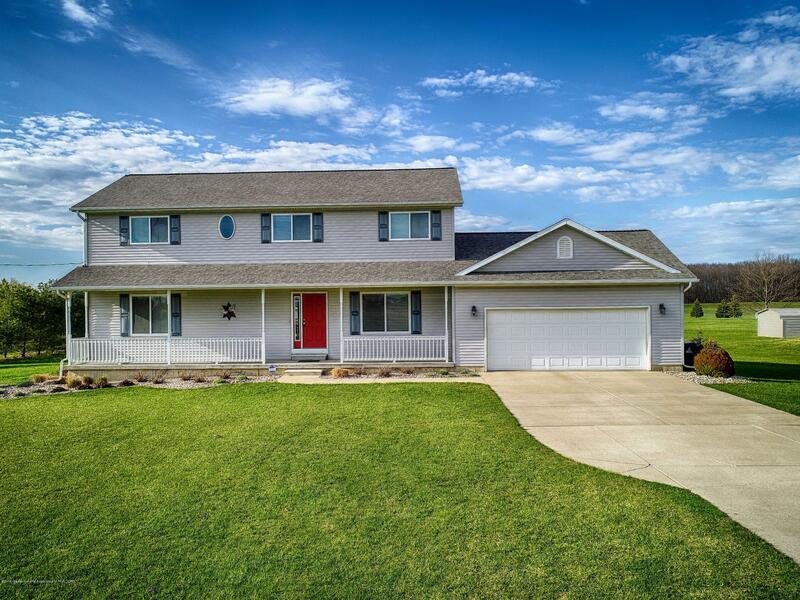 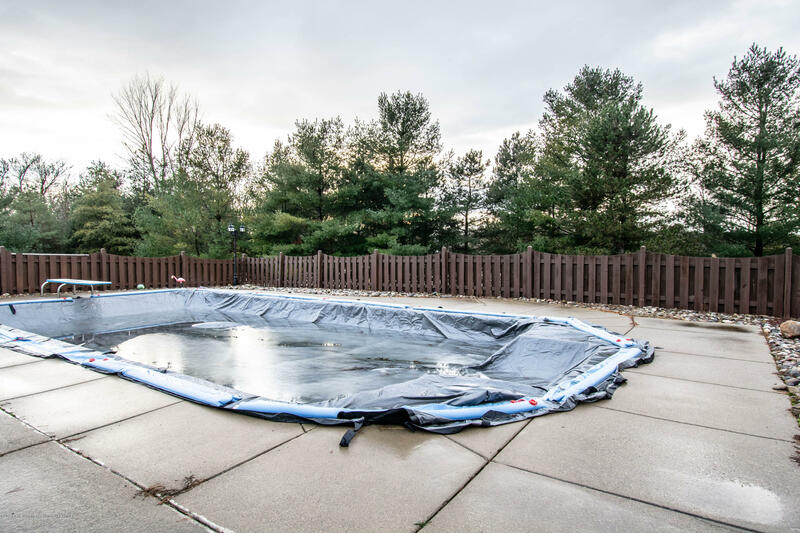 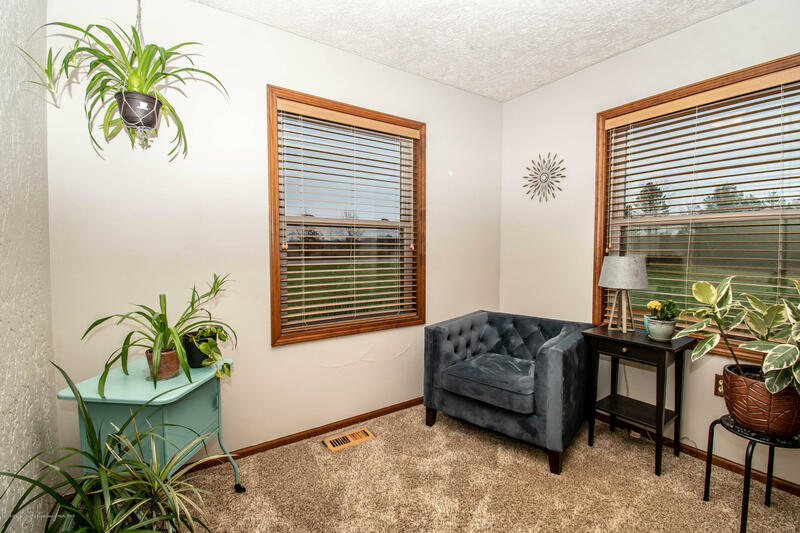 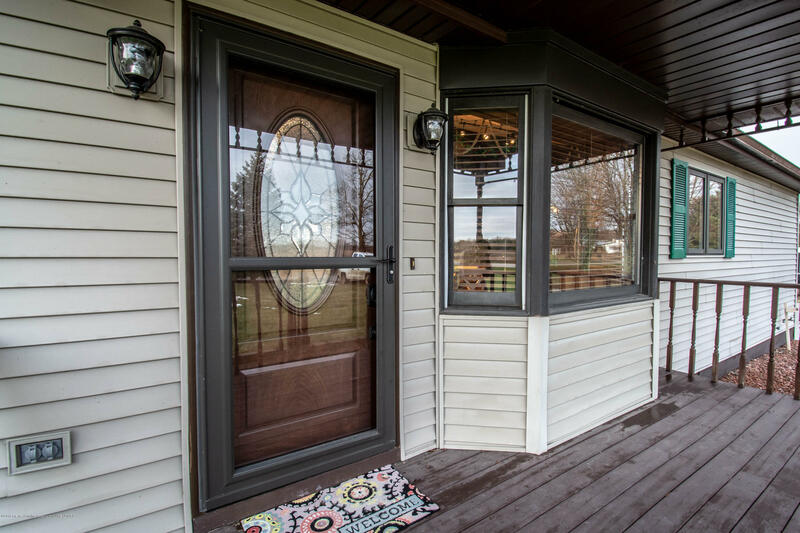 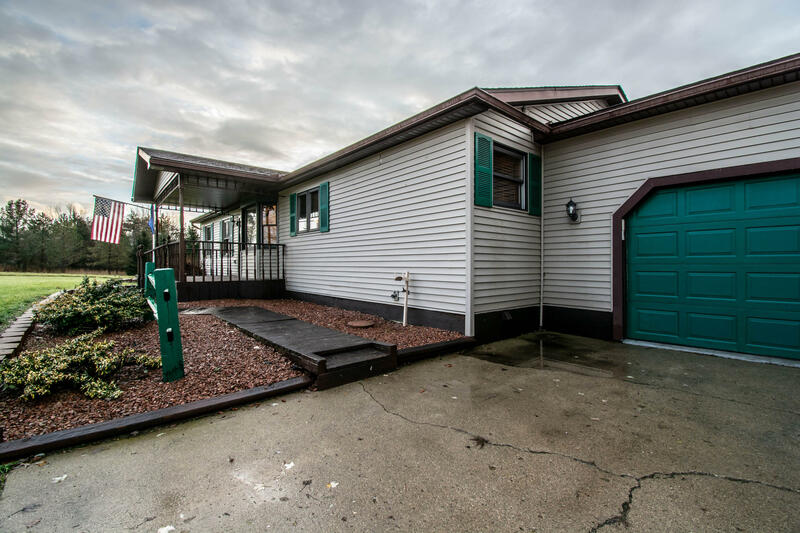 Exterior of home features newer windows with 50 year transferable warranty, 2015 roof, inground pool with new liner, mature landscaping, field views, and property backs up to the Little Maple River. 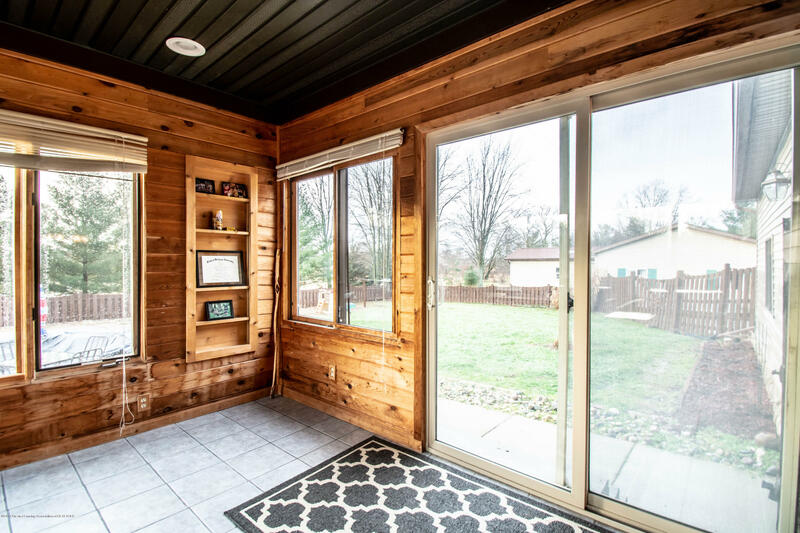 Darling front porch welcomes you into the open floor plan with cathedral ceilings that flows perfectly into the kitchen with attached dining- featuring a kitchen office, island, built-in microwave, and bay window. 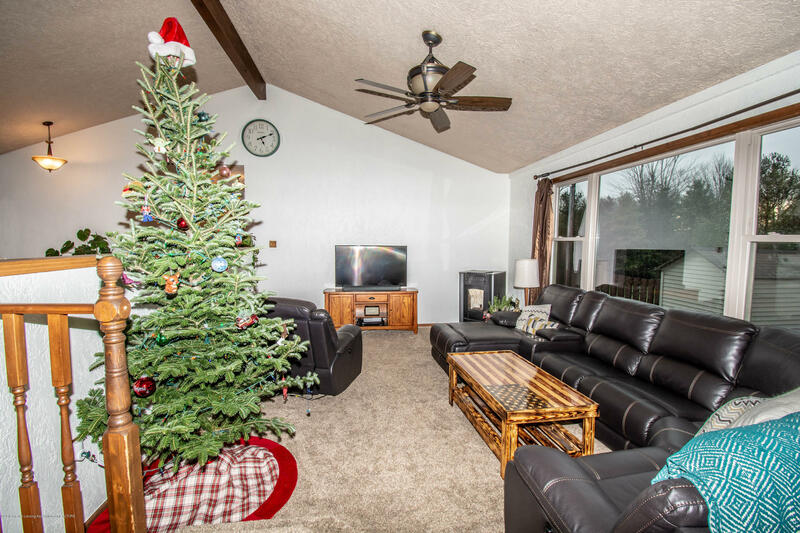 Living room is so cozy showc asing carpet flooring, plenty of natural sunlight, and multi-functional corn/pellet stove. 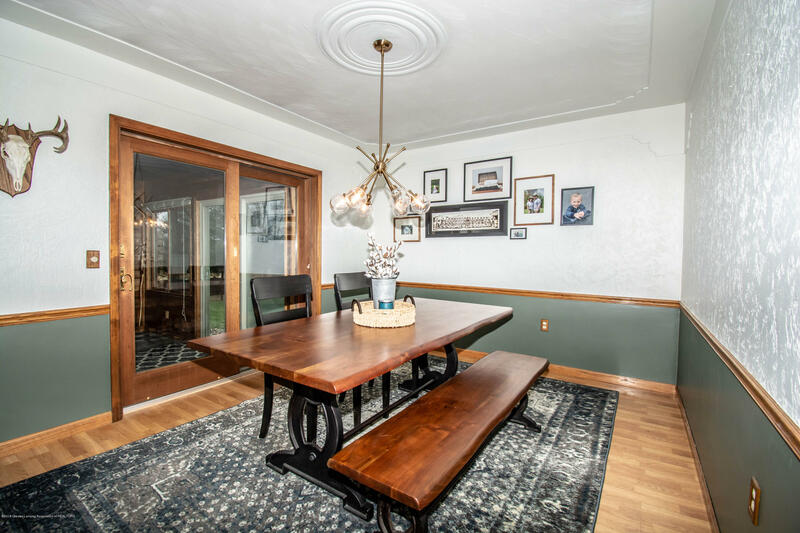 Formal Dining area as upgraded light fixture and slider to 3 season room. 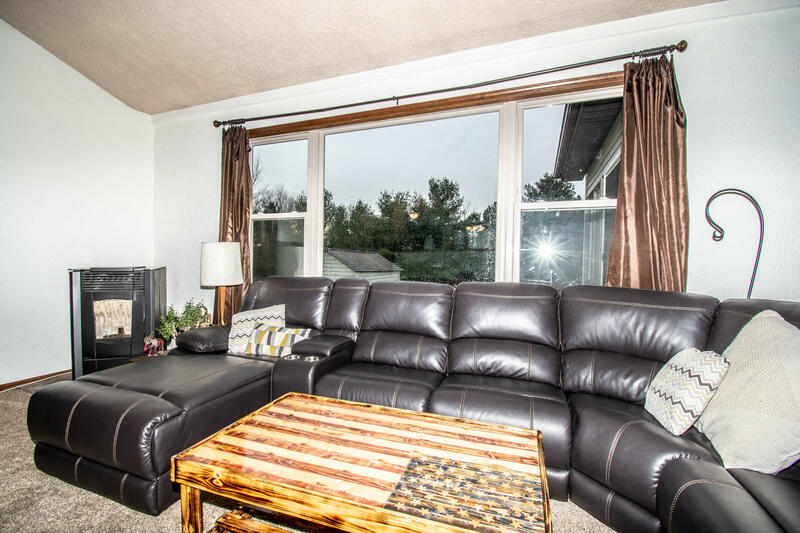 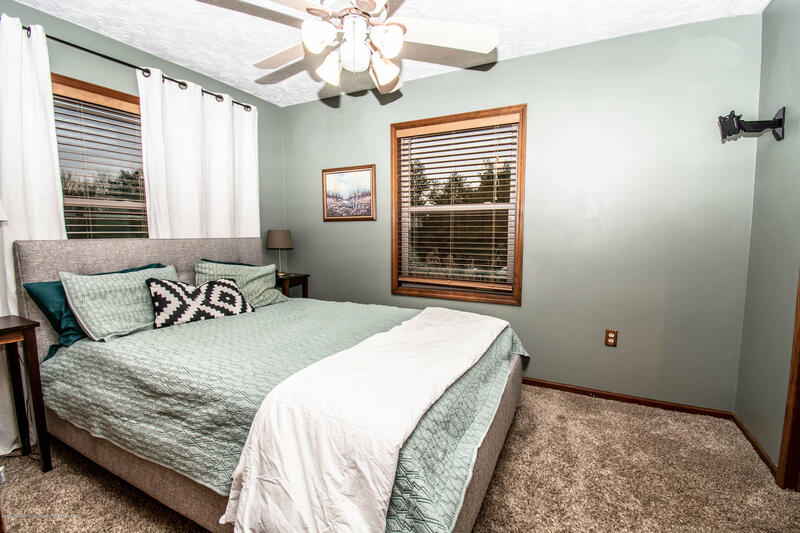 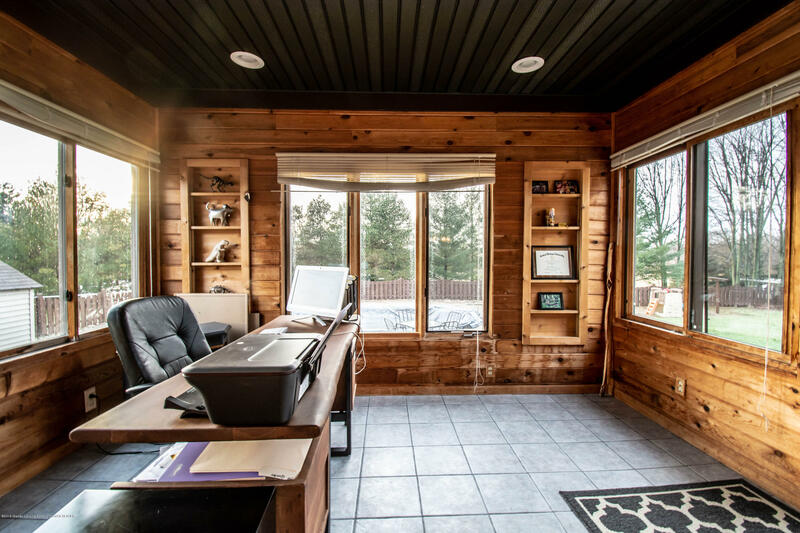 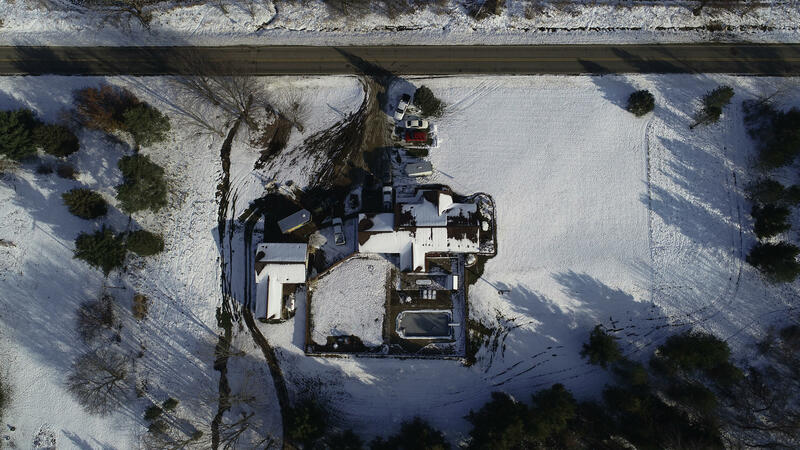 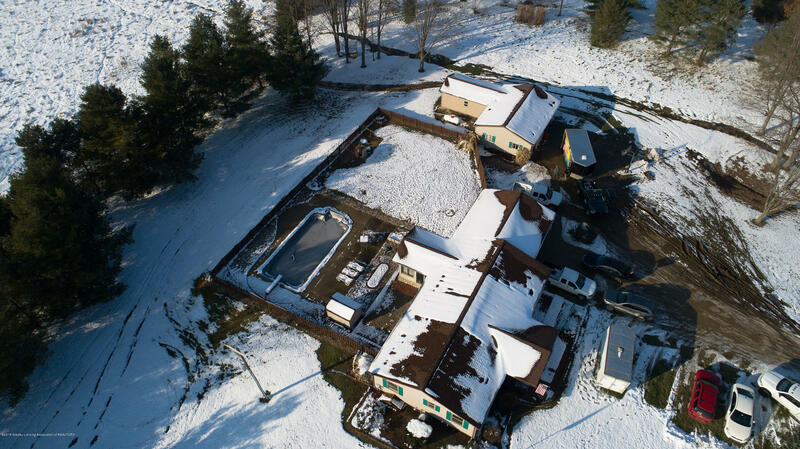 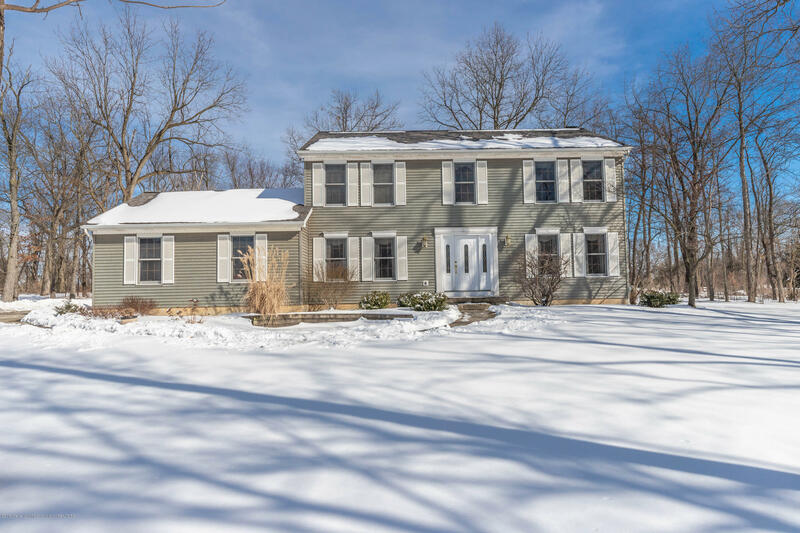 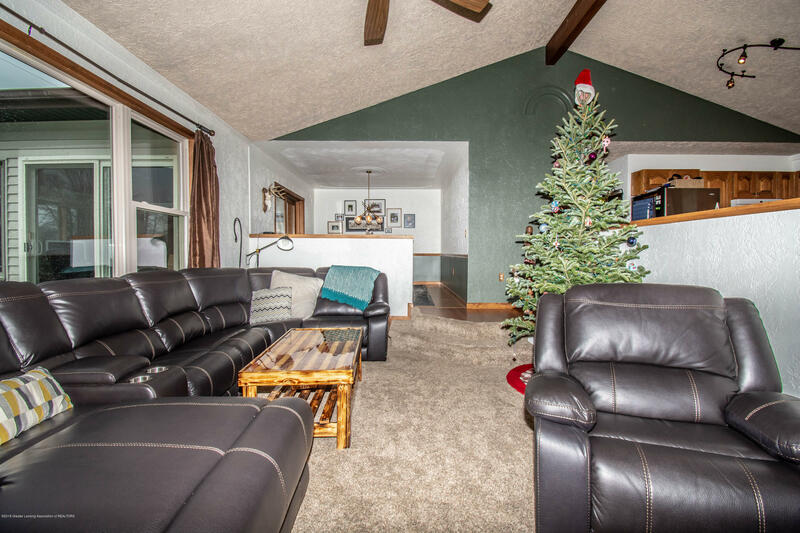 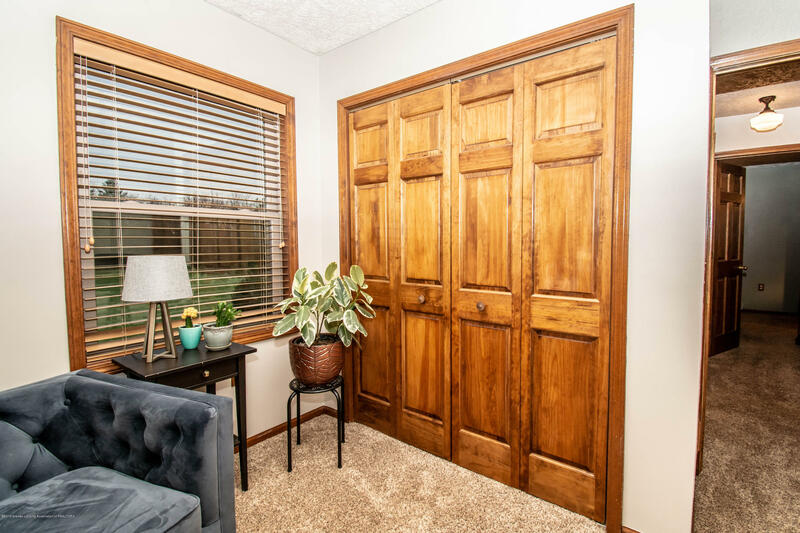 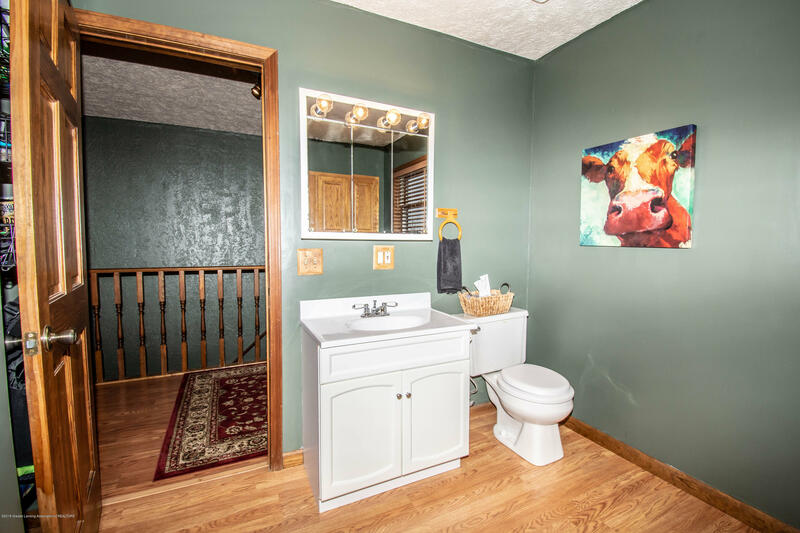 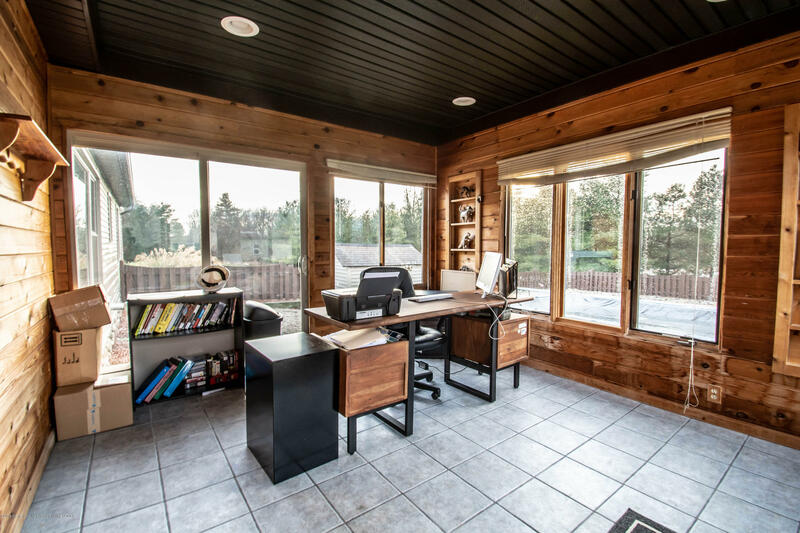 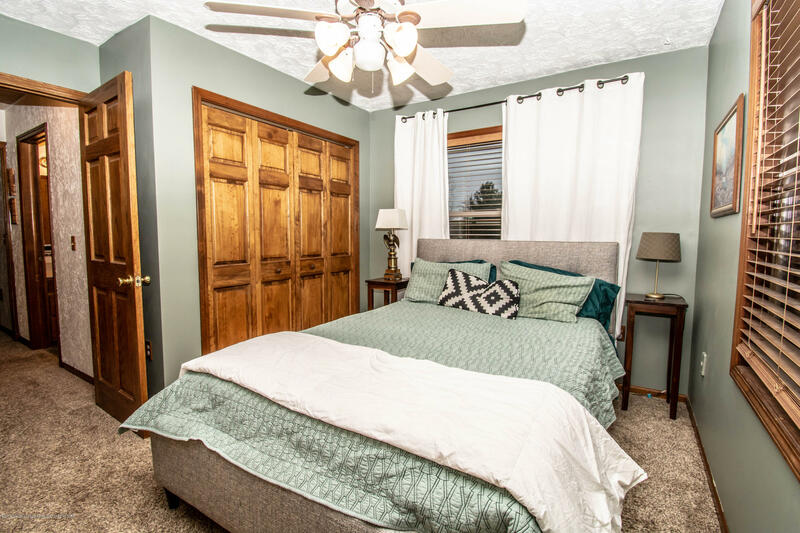 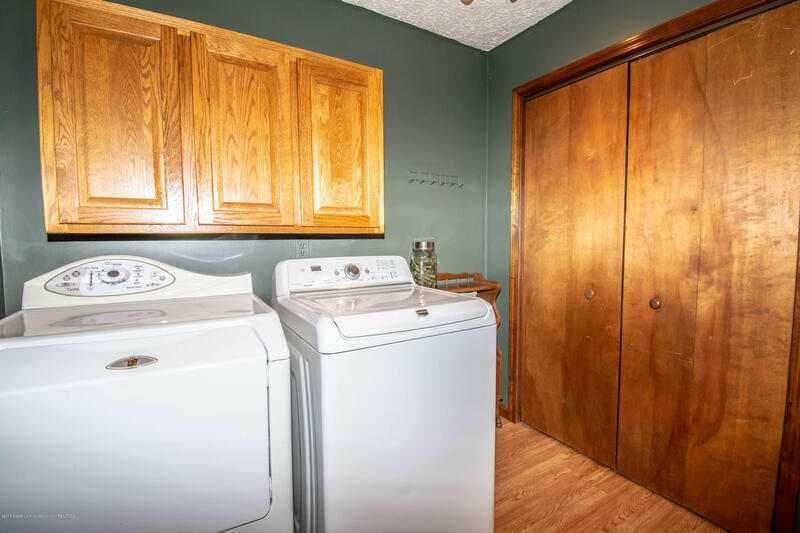 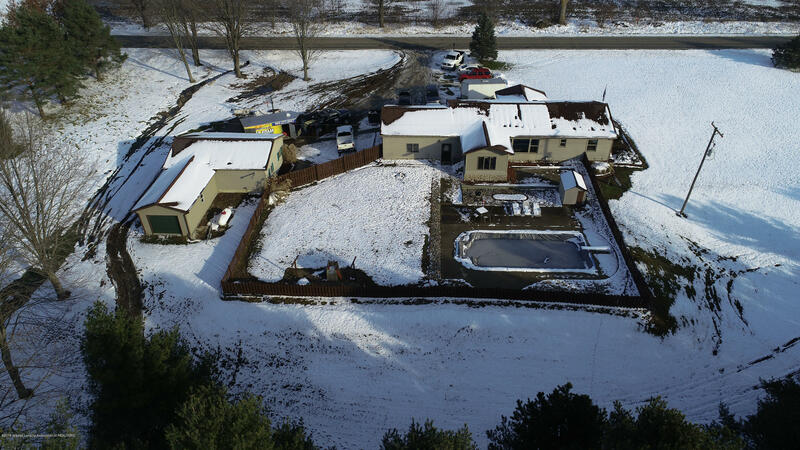 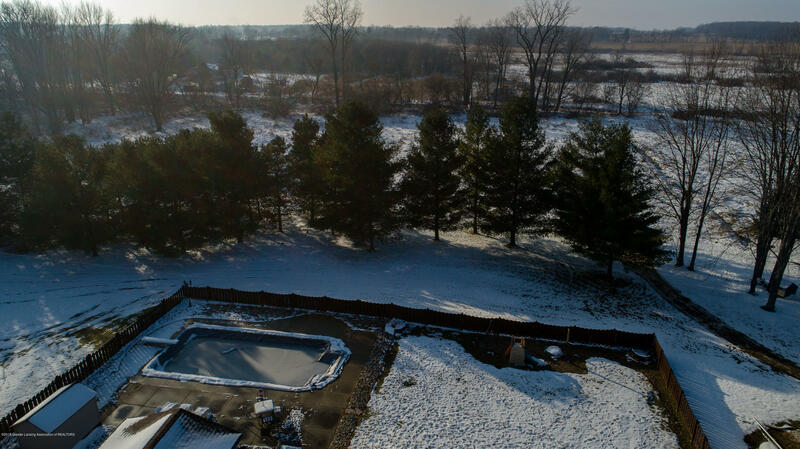 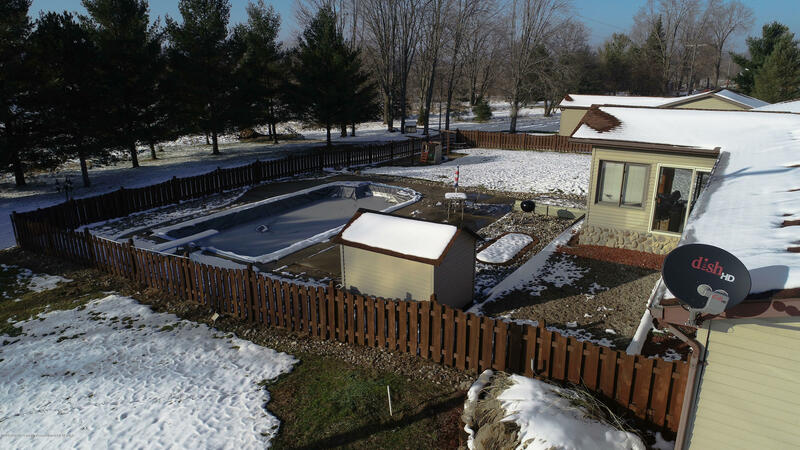 Extras include first floor laundry with large pantry, all new paint, updated outlets, spray foam insulation in pole barn & pool shed, nest thermostat, wired for generator, washer & dryer, updated light fixtures and faucets. 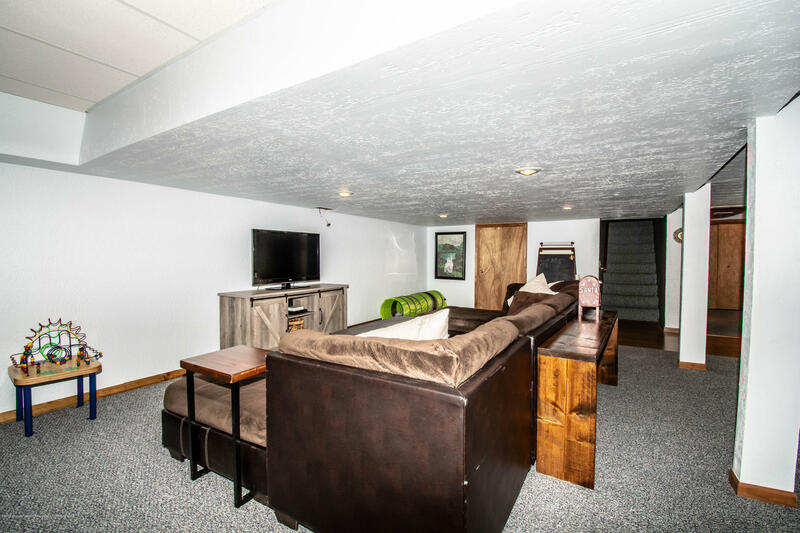 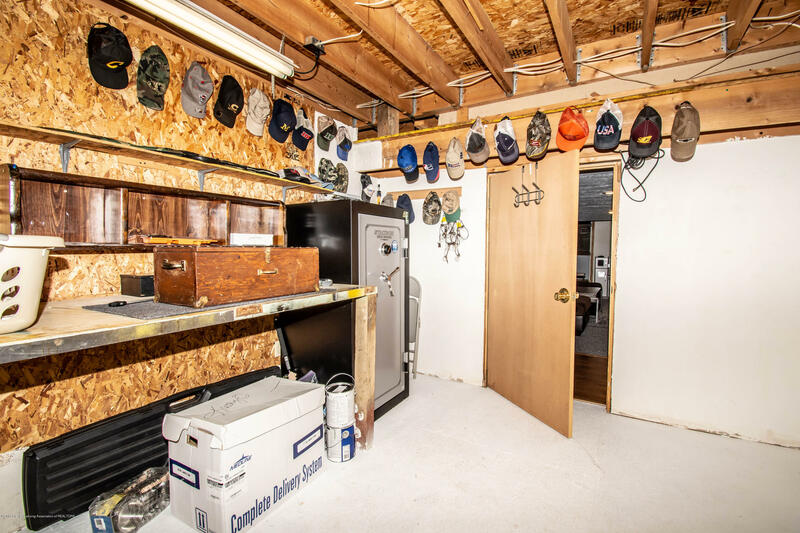 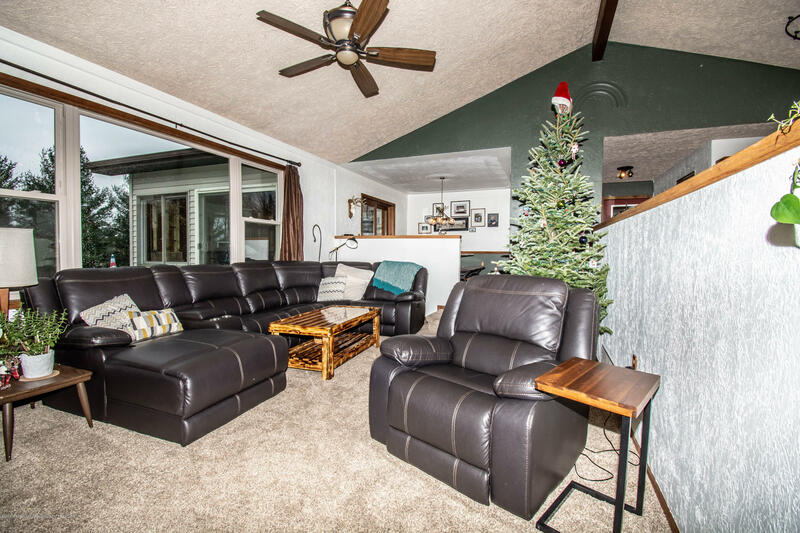 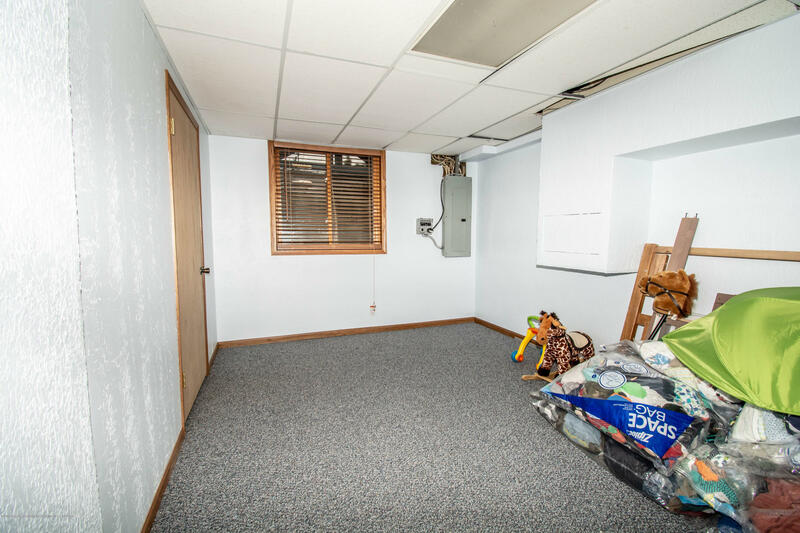 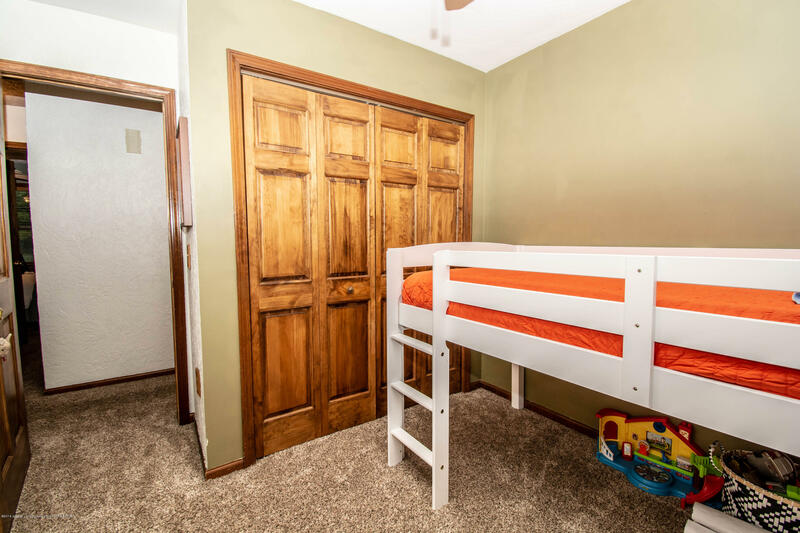 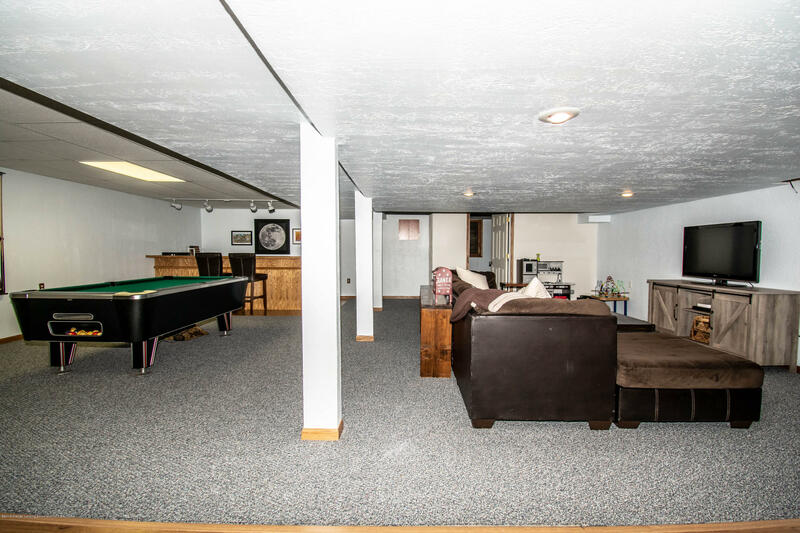 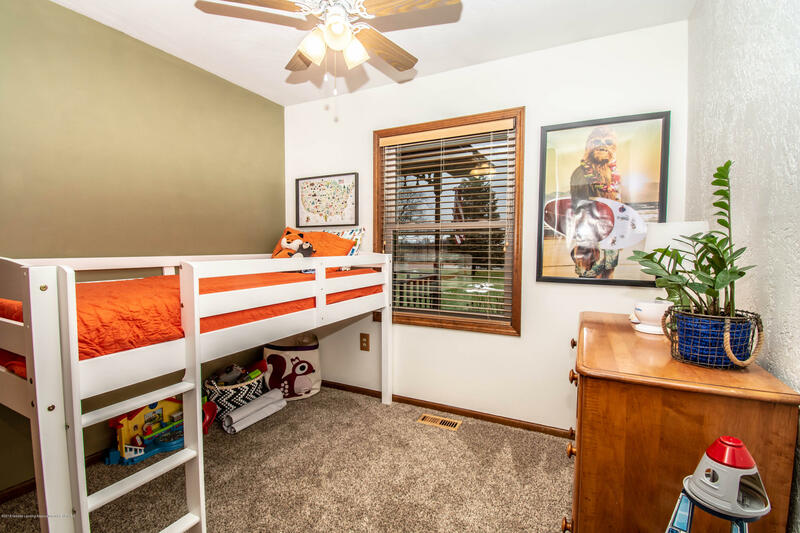 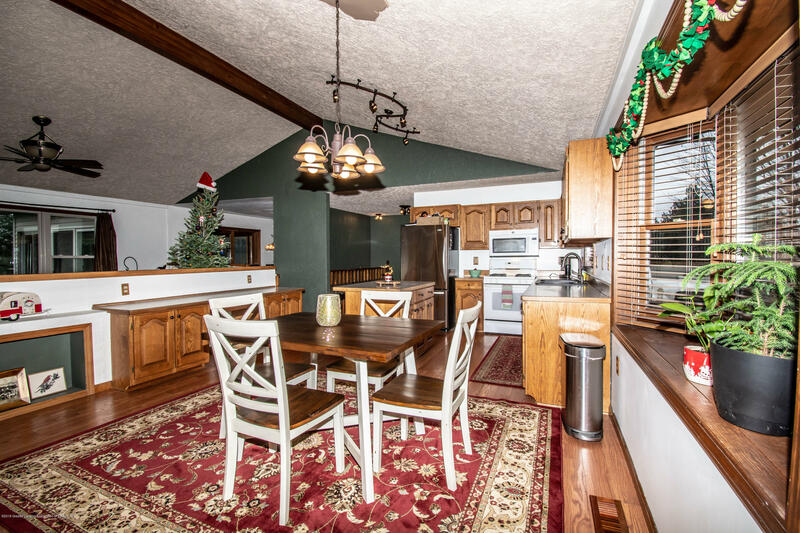 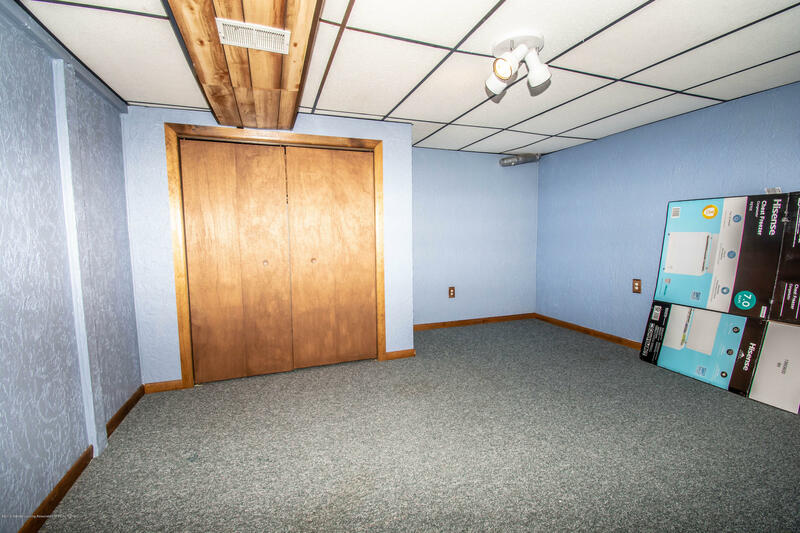 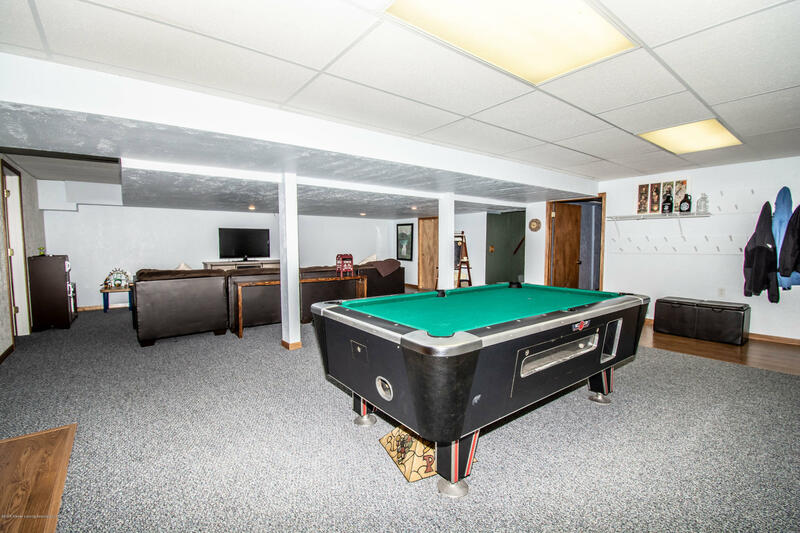 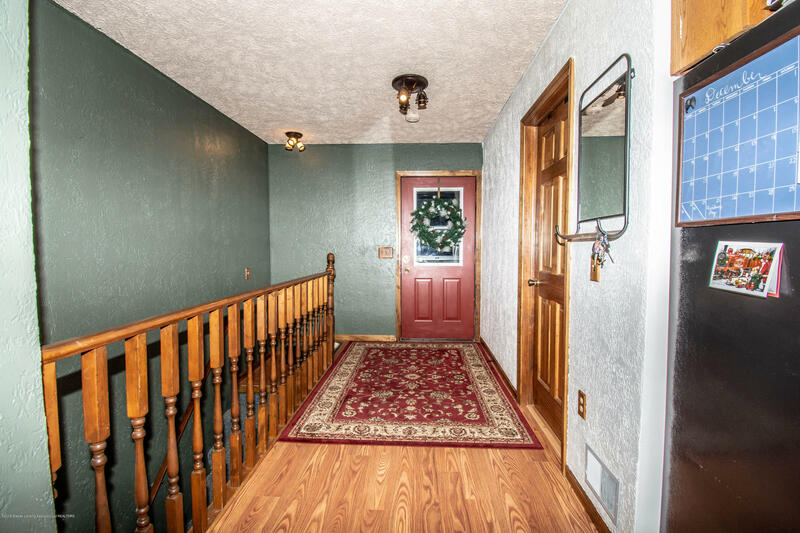 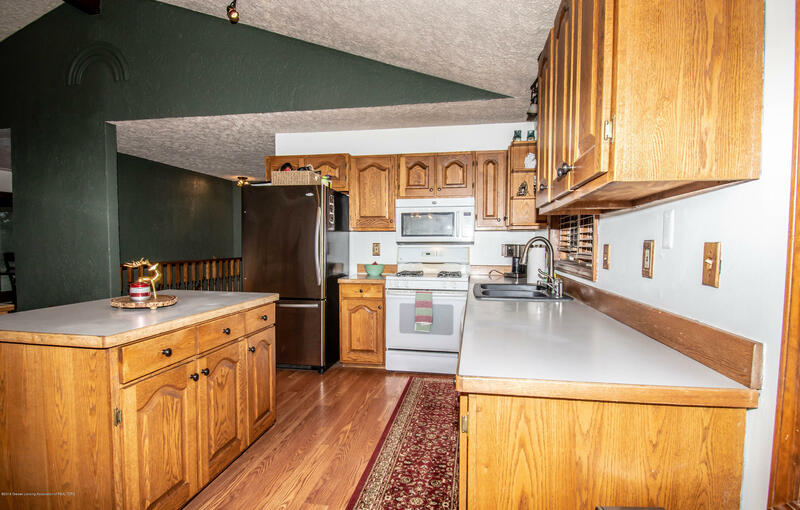 Fully finished basement is the perfect area for entertaining and any hobby! 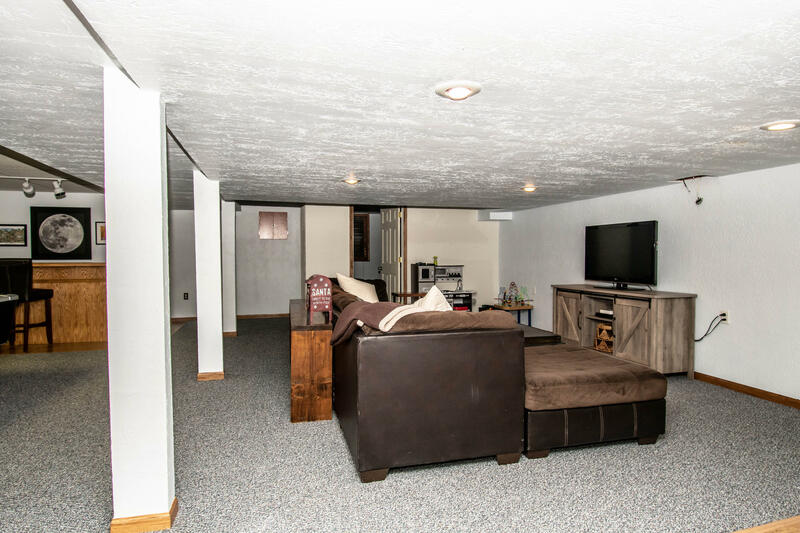 Extras include first floor laundry with large pantry, all new paint, updated outlets, spray foam insulation in pole barn & pool shed, nest thermostat, wired for generator, washer & dryer, updated light fixtures and faucets. 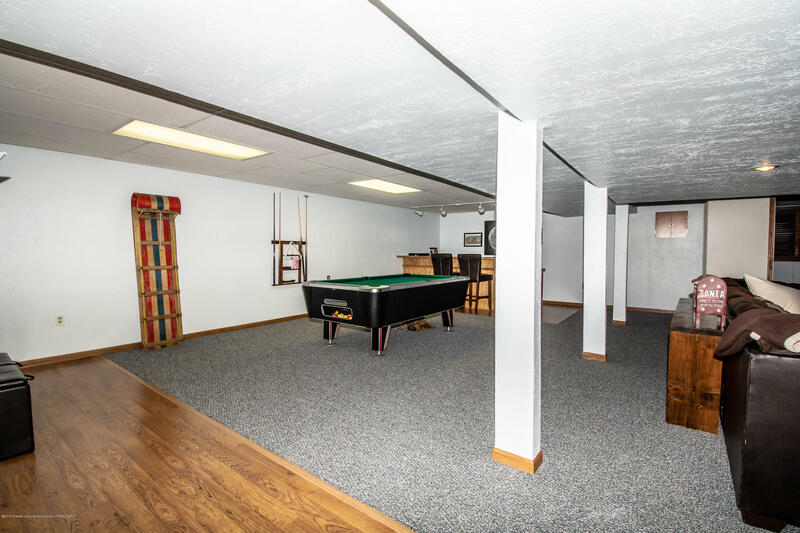 Fully finished basement is the perfect area for entertaining and any hobby! 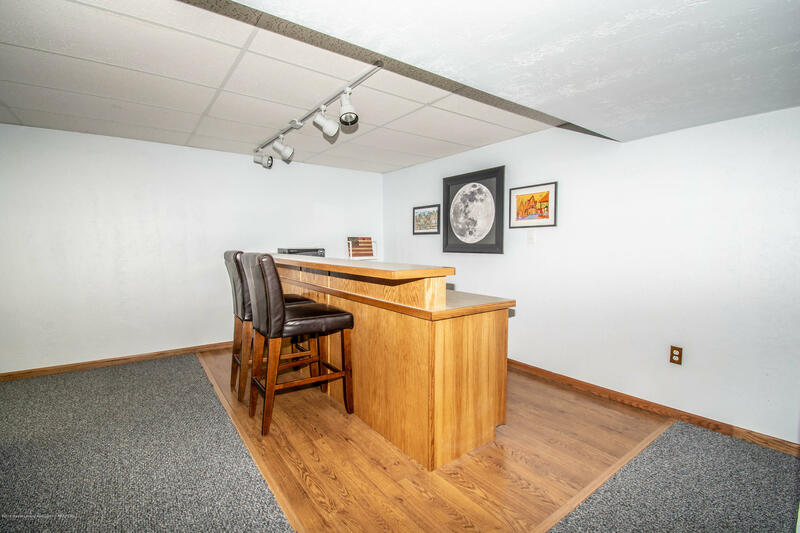 Built in bar area- large living space, extra bedroom with egress window, 5th non-conforming bedroom, workspace & storage. 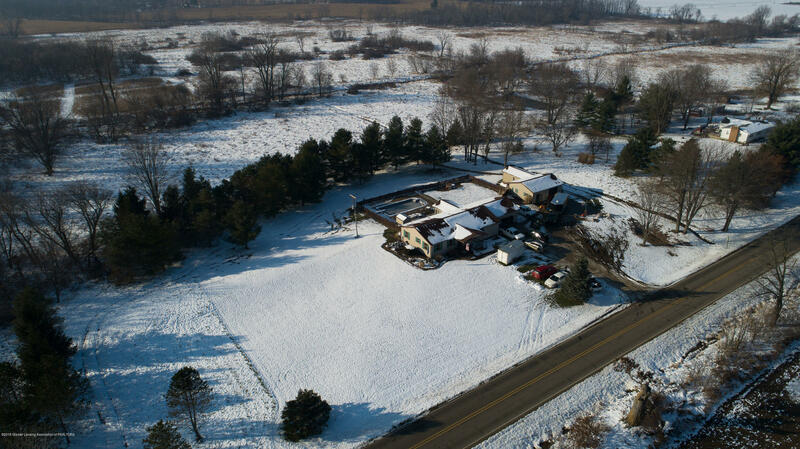 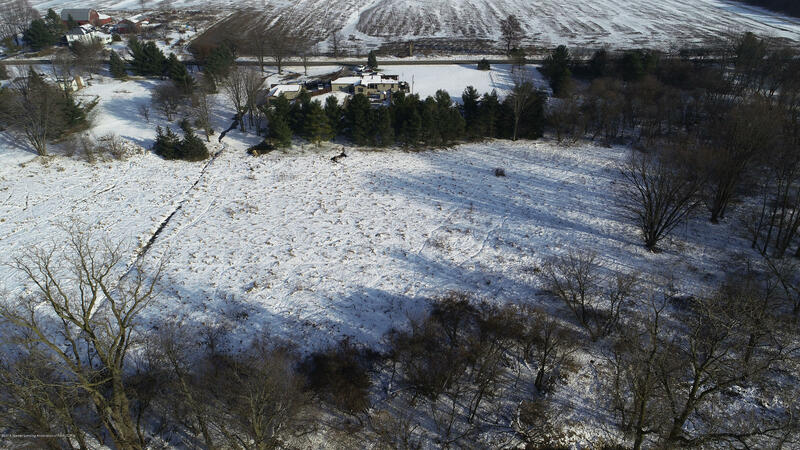 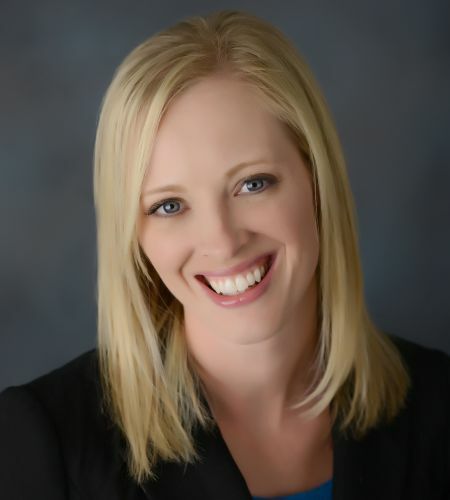 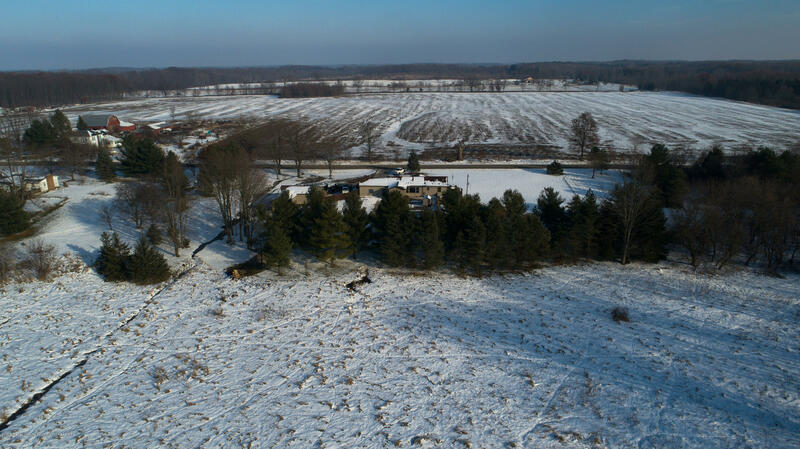 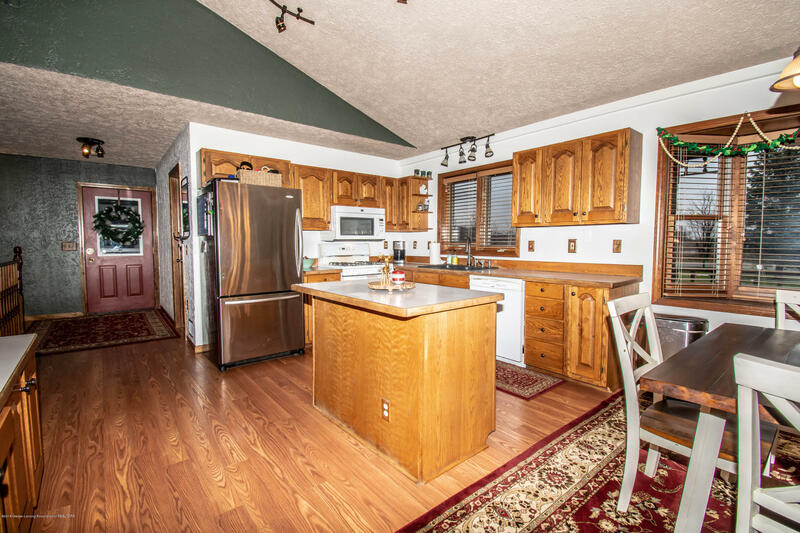 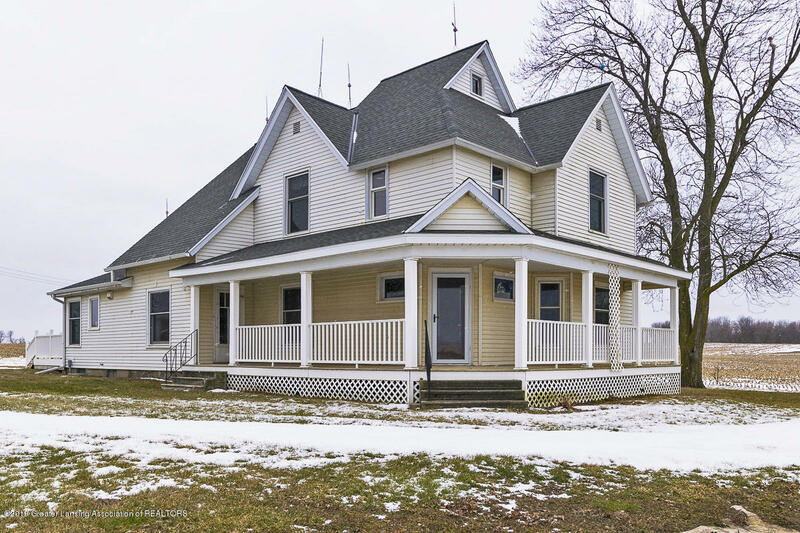 Tons of living space, low taxes, open fields, do not miss out! 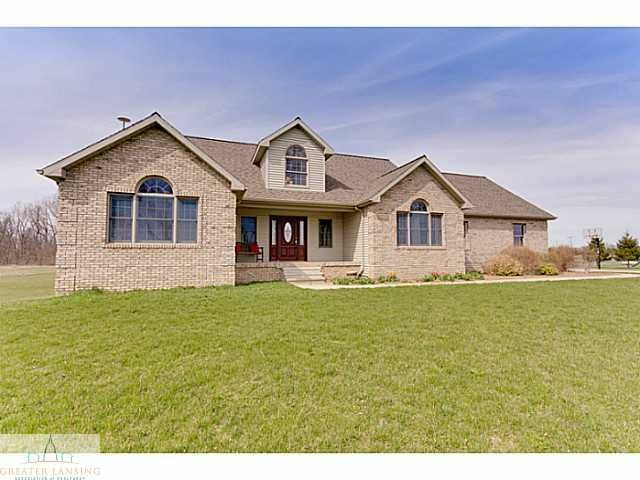 I want to see homes similar to 3854 S Shepardsville Rd!